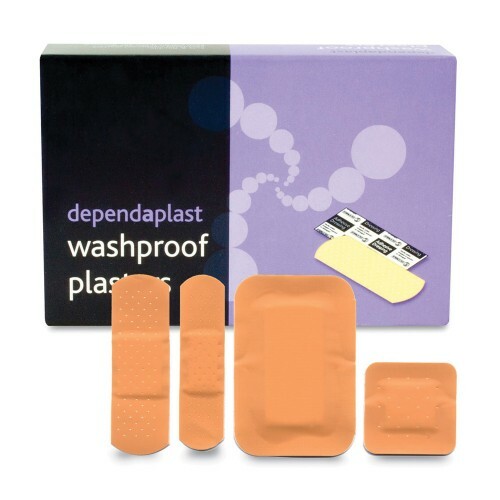 Assorted Waterproof Plasters (Box of 100 Plasters). A wide range of different sized and shaped plasters to cover any need. Also ideal for refilling first aid kits.